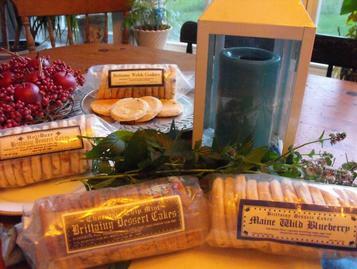 Brittainy Welsh Cookies is a family owned and operated business located in Lisbon Falls, Maine. 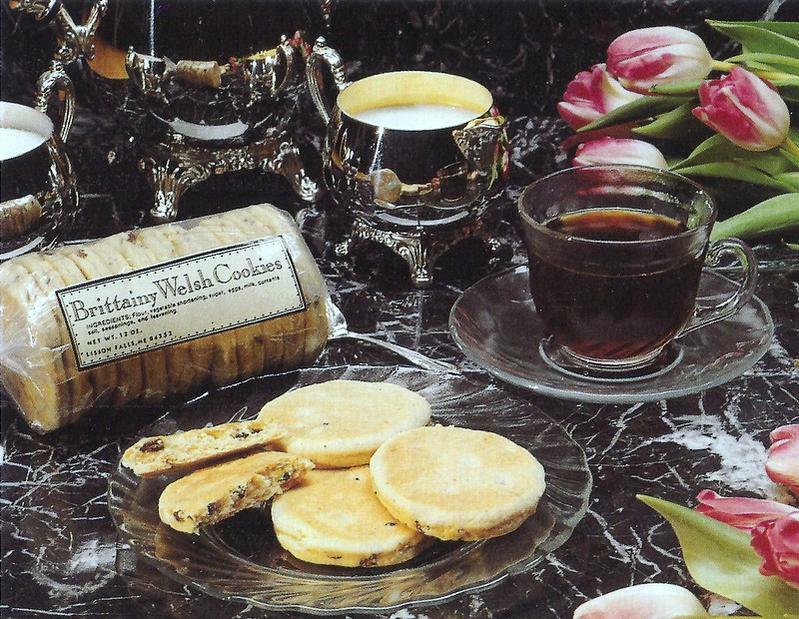 In 1989 we began to produce our handcrafted, griddle baked welsh cookies that are unique in many ways. Our welsh cookie company started with our original Welsh Cookies based on an old family recipe. This continues to be our biggest seller. As we grew, we were continually asked whether we had additional flavors. In response we experimented with multiple flavor combinations. The resulting Dessert Cakes all have our trademark hearty cake like texture with tastes that you will find to be new, yet familiar. The addictive qualities of our original Welsh Cookies mix the flavors of pure vanilla and nutmeg with currants. Our Maine Wild Blueberry Dessert Cakes are a delectable combination of flavors. A cross between homemade blueberry pancakes and high quality shortbread. 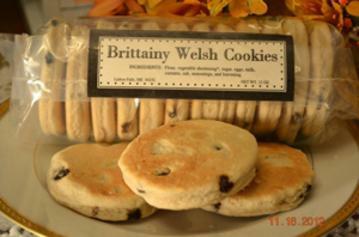 Copyright 2013: Brittainy Welsh Cookies | Welsh Cookies | All rights reserved. As a response to our customers, we created Chocolate Chip Mint Dessert Cakes, which boast just the right amount of peppermint and chocolate coupled with the delicate texture of our original Welsh Cakes. These lightly sweetened cookies melt in your mouth. Our final creation was dubbed 'Holidaze'. which provides the taste and essence of holiday baking all wrapped up in one. Our delicate combination of dried cranberries and white raisins, laced together with the flavors of cinnamon and allspice. The taste will put you back in grandma's kitchen. Welsh Cookies, welsh cakes, or welsh miner cakes as they are also known have an interesting and long history. Miners and sailors would carry many batches of welsh cakes with them on their long stays away from home, as they are not only good tasting, but stay fresh for a long period of time. We pride ourselves in producing these handcrafted, unique, high quality products. As a snack or serving as a dessert for family, friends, or important guests, you will find that they will always impress the most demanding of pallets! Our products are available by the dozen, or in sample bags that are great as a gift. 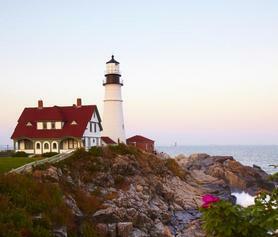 We also offer free shipping within the continental U.S. for orders over $75. & fine food magazines for over 25 years.